The commercial adoption of drones is growing quickly, and the solar industry is no exception. Drones provide a practical solution for the inspection of solar sites, from residential to utility-scale. Drones support business efforts to avoid hazardous man-hours; reduce costs for maintenance, inspections, and repairs; and maximize energy production. Valuable use cases have been proven across pre-construction, commissioning, and operations & maintenance for not only the PV system itself, but also for surrounding infrastructure like utility lines, substations, and fencing. Measure’s vast experience using drones includes providing actionable inspection data for a variety of solar sites across the continental United States, and in beautiful destinations such as Hawaii, Puerto Rico, and Uruguay. Our experience has exceeded 1.5GW of installed solar, including a single inspection of a 328MW thin film system, plus thousands of acres of pre-construction solar site assessments. Measure has conducted inspections for a variety of clients, including AES, a global Fortune 500 energy company, which we will reference from time-to-time in this paper. Measure has also trained all kinds of companies on how to safely operate drones and manage an internal drone program. Regardless of whether you are new to drones in solar or interested in improving your existing operations, this paper has something for you. And, when you are ready to take the next step, be sure to contact Measure. We’d be happy to help. Download the PDF version and read at your convenience. How Can Drones Make Your Operations Better? Using drones in the solar industry both opens up new possibilities and replaces existing work. Without drones, inspections are typically completed manually. For utility-scale solar farms, this means either traversing hundreds of acres and conducting the painstaking process of inspecting thousands of panels by hand, or, more commonly, inspecting only a sampling of panels in an effort to identify systemic issues. In some cases, high-cost inspections by small plane may be used. Inspecting rooftop systems, of course, involves the hazards of sending workers onto rooftops. With drones, you can complete inspections in a fraction of the time, saving costs while avoiding hazardous man-hours and getting better data. “We are reducing high-risk activities by using new technologies to improve safety, increase efficiencies, and enhance overall company asset management,“ explains Assel Ayapova, Global Drone Program Manager for AES Corporation. Last year, Measure conducted a study to compare the time, costs, and results of its 100% IR drone inspections to relevant manual inspection scenarios across four sites. On a per MW basis, cost savings due to efficiency gains ranged from $1074 to $1717 per MW, for an average of $1254/MW cost savings. For the amount of data that is processed with a typical inspection (approximately 800 images per MW), turn-around time is surprisingly quick. These inspections each took less than 5 business days to analyze and deliver. Saving time and money is great, but when it comes to drones in solar, it’s often the data that tells the best story. To test the accuracy of Measure’s drone data, AES took the results of a solar inspection by drone and sent out manual inspection crews to run the same inspection on the same plants. The results from the manual inspection mirrored the results from the drone data with 99 percent accuracy, but the manual inspection took two days compared to two hours with the drone. Due to the time and tedium of manually inspecting large solar farms, it’s often not realistic or cost-effective to do a manual inspection of 100% of the site. That’s not the case with drones. You’ll quickly and easily get a full inspection, identifying defects that manual inspections might miss, at the string, module, and sub-module level. Large sites where only a percentage (e.g. 20%) of the facility would normally undergo IV curve tracing each year will benefit from enhanced revenue opportunities realized through 100% IR scanning. For example, Site 1, noted on the previous page, saw an additional $91 per MW in enhanced revenue opportunity due to incremental issues discovered by the drone inspection. A drone inspection can enable companies to proactively identify more defects, which could lead to increased power production. 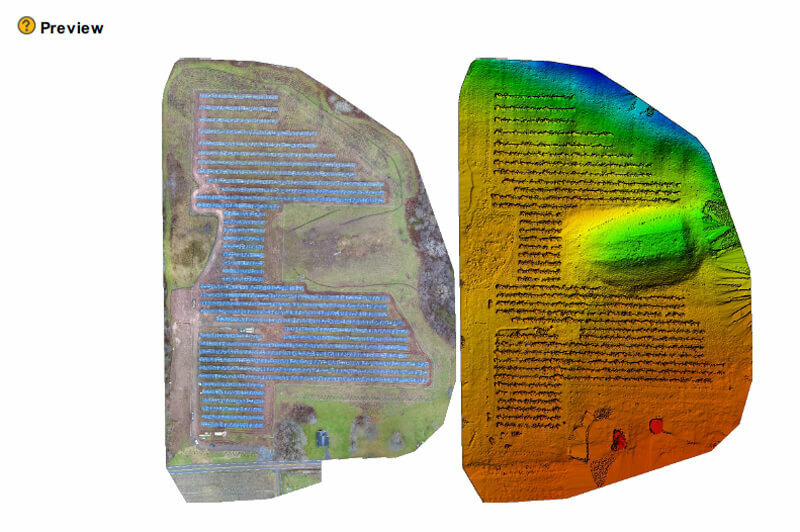 Drones can also offer more than solar module inspection data. While drones are on-site, you have the opportunity to get accurate information on other site infrastructure as well. You’ll learn more about this in the next section. Following processing and analysis, Measure delivers drone data to clients in a user-friendly, actionable format. Reading and consuming the information is surprisingly easy. “The reports are pretty consolidated,” states Nick McKee, Solar Operations Manager at AES. “I have a PDF snapshot and a digital snapshot that I can move around and customize depending on what I want to look at.” Data can even be delivered through a smart phone app, which allows maintenance personnel to proceed directly to damages, improving efficiency and reducing costly repair hours. Online Webmaps: Interactive data hosting platform that includes a visual representation of aerial inspection results and a dataset that is exportable, georeferenced, and interactive. 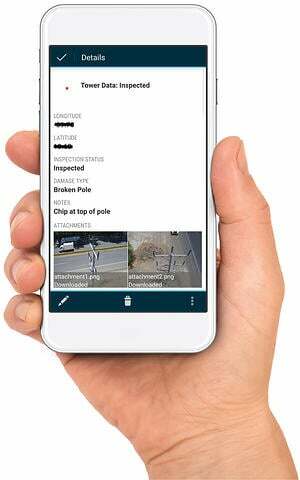 Field Repair Application: Smart phone app that routes technicians to malfunctioning modules and allows corrective maintenance or field validation results to be input while on-site. With drone inspection data in an online portal (or integrated into your internal data systems), you’ll also have data that can be compared over time and across sites. Tracking system issues over time will drive better and better decisions for operations, maintainance, and system design teams. Example analyzed data, showing string-level damage, delivered via interactive online webmap. Example analyzed data, showing sub-module damage, delivered via interactive online webmap. 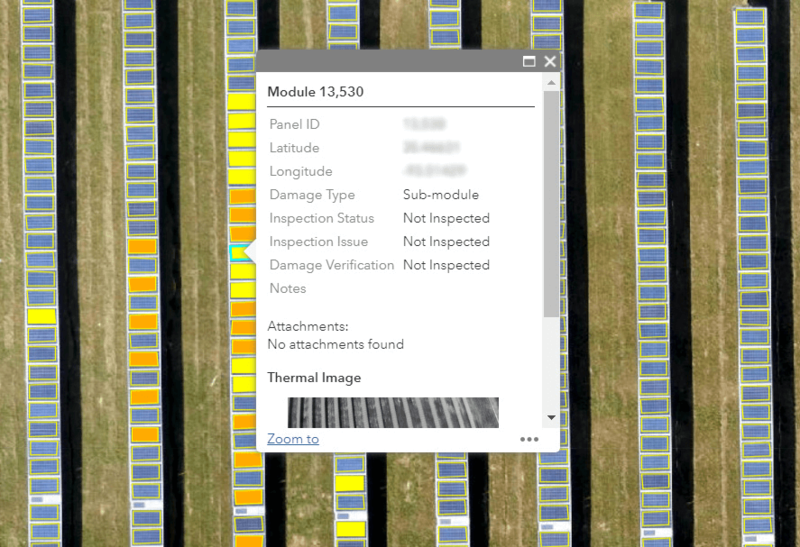 Example analyzed data delivered via smartphone application, showing field inspection updates for a damaged module. During site development, drones collect data for topographic modeling, site shading assessment, water body and generator proximity, and soil type analysis to understand how optimized a site is for power generation. A drone flyover during construction can provide progress reporting, project milestone completion validation, quality control, and logistics planning for easier project management and stakeholder oversight. 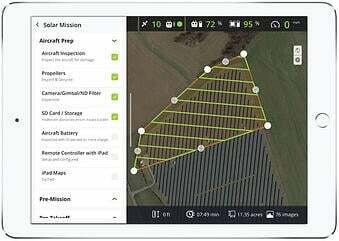 Drones offer an efficient and effective method of understanding the quality and operational health of solar farms. In some scenarios, asset purchasers, financiers, or energy off-takers have a limited amount of time to assess and accept a new solar farm. With intelligent planning and a skilled pilot, drones can capture a sampling of data that will quickly identify any systematic problems and provide stakeholders with the best possible information. For many solar plants, an annual inspection is a requirement and one of the most valuable uses of drones. As discussed in the previous section, drones can complete 100% IR inspections in a fraction of the time of typical manual inspections, while avoiding hazardous man-hours and providing better data. Detailed information on modules malfunctioning at the string, module, or sub-module level can be delivered to an online portal and to a smart phone application for easy use. Vegetation. 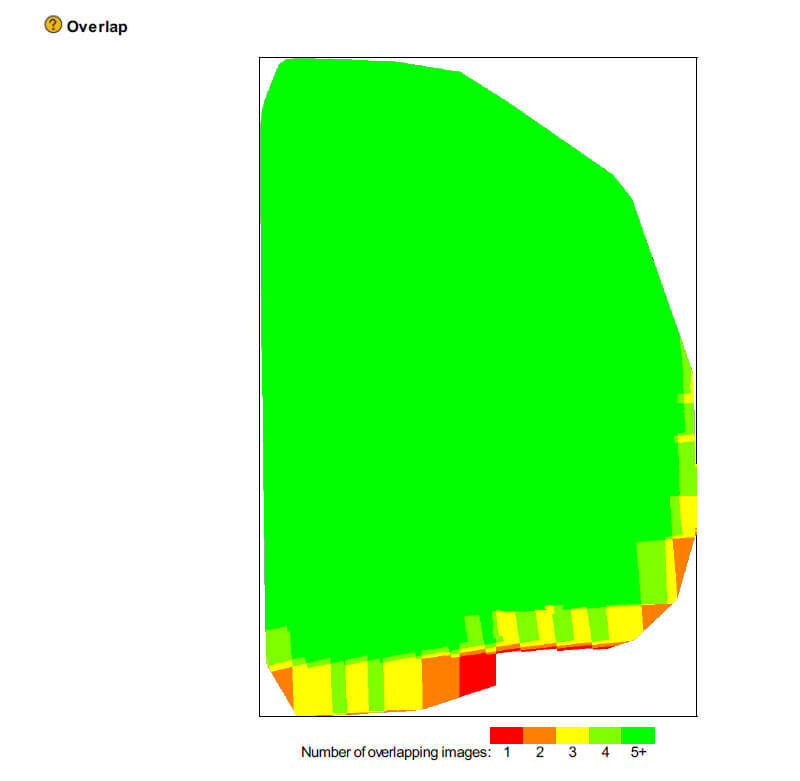 Drone imagery is used to assess vegetation conditions between array racking. Locations where sample vegetation imagery was captured are displayed on a webmap and images showing concerning conditions are flagged. Tracker Misalignment. Imagery captured of the facility undergoes a comparative analysis to identify misalignment issues within a given tracker zone. Cases of misalignment exceeding 10 degrees are identified and reported. Fencing. 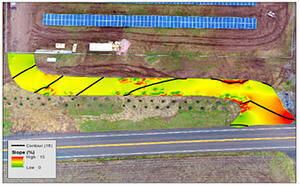 Visual data representing the full fencing perimeter is analyzed to identify compromised areas. Images captured are hosted in a webmap with a color classified indicator of locations where fencing issues were identified. Erosion. Topographical models indicate relative ground elevation changes and slope orientations. Areas where slope degrees significantly deviate from the norm are prone to premature erosion and are flagged. Getting up on a roof can be a dangerous task, and drones can help field teams avoid it. Drones can be used to create measurable images of roofs and to identify possible obstructions for pre-installation planning. They can also be used to inspect existing systems to identify defects or check conditions caused by soiling or storm damage. Electric substations, lines, and poles on-site at utility-scale solar plants also require regular inspection, and drones make this task safer and more efficient. Drones can provide detailed imagery of transmission lines and poles, allowing workers to identify defects without climbing or using bucket trucks. 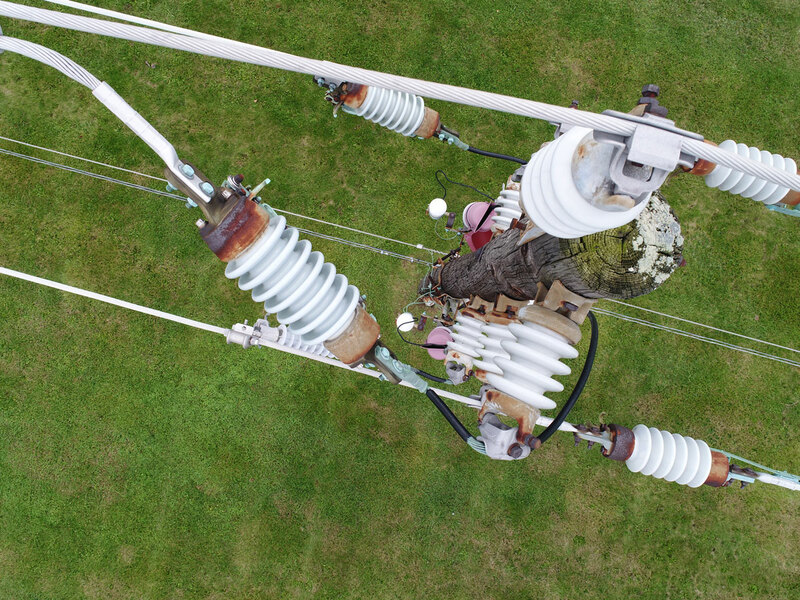 A drone with a thermal sensor can also inspect substations quickly and safely, while avoiding the paperwork and shutdown process that is often required in order to conduct a manual inspection. If you have a UAV (unmanned aircraft vehicle) and licensed pilot, you may find a seemingly endless number of applications. Spot checks of potential issues, post-storm site assessments, and aerial photography for marketing or documentation are just a few examples. We’ve even heard of site managers using drones to look for migratory or nesting animals. Looking toward the future, we will likely also see drones operating autonomously, conducting inspections without a human operator. One day, your solar system may detect an issue and automatically send out a drone to investigate, delivering the information to your cell phone before you even knew there was a problem. But, that’s tomorrow. There are still plenty of ways to benefit from drones today. 3D Point Cloud – A 3D, rotatable set of data points representing an object (such as a building); geolocated, measurable, and compatible with common design software. 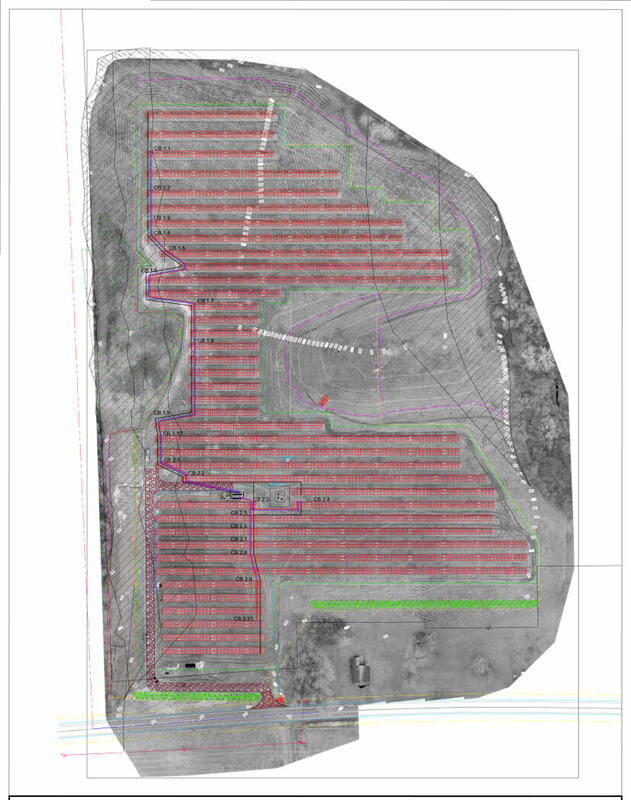 As-Built Overlay – A 3D model or 2D orthomosaic of a site that is overlaid with site plans or CAD drawings to identify any discrepancies between plan and actual. Construction Progress Tracking - Aerial imagery collected at regular intervals to track changes over time, document milestones, or note inventory devileries and useage. Defect Identification - Identification, classification, and geolocation of defects on solar panels, utility poles, substations, etc. An orthomosaic shows defect locations and color or numerical classifications represent severity. DSM / DTM – A digital surface model or 2D representation of a terrain’s surface that can be used for volumetric analysis and is convertible to CAD formats. DWG File - Vectorized shapefile that can be imported into design software, typically used for seasonal shading analysis or for roof measurements and obstruction heights. Erosion Assessment - Creation and analysis of topographic models to identify slope degrees and areas prone to premature erosion. Fencing Infrastructure Review - Analysis of perimeter structures to identify compromised areas such as missing beams, corrosion, vegetation, and miscellaneous damage. Orthomosaic – A detailed, accurate photo representation of an area, created out of many photos that have been stitched together and geometrically corrected (“orthorectified”) so that it is as accurate as a map. Thermal Analysis – Using images of the heat given off by an object to identify anomalies such as malfunctioning solar modules, damaged electrical insulators, cracked expansion joints, and faulty substation components. Topographic Map – A map of a ground area that is true to the shape and features of the surface of the earth to highlight variations in site grading. Site Shading Assessment – Using the site’s geographical location, nearby obstructions, and seasonal sun positioning to graph potential shading impacts over the course of the year. Solar Tracker Review - Identification and geo-location of single-axis tracking zones that are misaligned or non-functional. Vegetation Growth Sampling – Aerial images are used to identify vegetation conditions on a solar farm or along utility lines. What’s in an Enterprise Drone Program? Once you’ve made the decision to add drones to your operations, it’s time to think practically about the setup and execution of your drone program. Managing a corporate drone program requires the coordination, oversight, and execution of a wide range of tasks and functions, as shown in Figure 3.1. The size and complexity of your drone program will depend on the scope of your operations as well as whether you choose to in-source or out-source each function. Based on Measure’s experience in the solar industry, we find that most drone operations for large commercial and utility-scale solar sites are outsourced. Collecting and processing data, particularly for sites in excess of 5MW, requires a high level of flight skill and data engineering capabilities. Additionally, these large sites are often located far afield, may be unstaffed, and are typically not inspected often enough to warrant an in-house drone team. For high-volume residential work, or if you have several small-to-mid-sized commercial sites located in the same geographic region, it may make more sense to have one or several drones and licensed pilots on your team. The equipment used for smaller sites tends to be easier to use and having a drone and operator in-house gives you the flexibility to complete frequent, quick- turn jobs without incurring the costs of hiring a contractor. Companies with in-house drone pilots may choose to also in-source data analytics, or they may send drone data to a third party for processing, analysis, and delivery. Some additional considerations are outlined in a helpful in-sourcing vs. out-sourcing decision guide, provided in Appendix A. Regardless of whether operations are in-sourced or outsourced, most companies will begin by designating an internal manager to lead the program. Typically this would be one person from a central location - a Drone Program Manager. For programs that are primarily outsourced, the drone program manager may also have other responsibilities. For in-house programs that are particularly complex or wide- reaching, companies might need several people to manage operations in their region. Regardless of how you are structured, you will need a Grand Central Station, of sorts, to manage your company’s drone operations. The Drone Program Manager is responsible for ensuring all the functions of the program are running smoothly. He or she will work with a team that might include in-house or contract pilots, trainers, drone engineers, and data analysts, among others. He or she may be ordering and/or tracking jobs; ensuring compliance with safety, regulatory, and company policies; managing equipment; and measuring program success. With so many people and functions to oversee, a program management software designed specifically for this purpose is crucial. Measure and Fortune 500 energy company, AES, use Measure Ground Control, a comprehensive software platform built based on real-world experience, to help run their complex drone programs. You’ll learn more about Ground Control later in this paper. Placing a work request for drone data. Scheduling of aircraft and sensor payload for each job, managing shipping and storage logistics, following equipment maintenance schedules, and completing repairs or upgrades as needed. Tracking certifications, licenses, training, and proficiency of each pilot; assigning pilots to each job; overseeing travel schedules; ensuring rest requirements are met; and measuring on-the-job performance. Checking airspace, flight, and pilot rules and regulations for each job; ensuring that any necessary permits, licenses, tranings, or waivers are in place. Determining flight schedule, pattern, altitude, and image capture specifications, as well as any weather-related requirements (e.g. temperature, light, or irradiance limitations), to meet the data goals of the job. Flying the drone and appropriate sensor payload, according to the flight plan and safety procedures, to collect the data from the job site. Collecting all flight data such as flight path, altitude, speed, battery usage, and screen captures to effectively document and track the flight. Automated and/or manual processing and analysis of the raw drone data to create a useable data product or report. Storing, tracking, organizing, and delivering the reams of drone data collected, processed, and analyzed. Continuously ensuring company policies are being followed, tracking program metrics, and measuring program benefits (e.g. costs and hazardous man-hours saved). An Air Operations Manual is the foundational document of a professional drone program. It shapes the operational and safety culture of the organization. Each Air Operations Manual will be unique depending on the attributes of your organization, but should always address the subjects below (more details outlined in Appendix B). If you are using a third-party drone services provider, you may want to ask them about their Air Operations Manual. An obvious part of any drone program is pilots. In-house pilots may be dedicated to the drone program, or they may combine drone operations with other job responsibilities. Third-party or contract pilots should be experienced specifically in drone operations for solar inspections. The FAA requires any sUAV operator to have a Part 107 certification before flying for any commercial purpose. However, that is only the first step. Measure recommends a three-part training program that includes basic introductory training, along with training specific to the type of equipment the pilot will use and the application in which he will use it. Introductory Training. Introductory training should cover the core principles of your organization’s program, such as maintenance guidelines, crew rest requirements, drug and alcohol policy, safety procedures, regulatory compliance, and more. Drone-Specific Training. Drone pilots should receive hands-on training for the specific drone equipment they will be using, such as the DJI Inspire 2 or Phantom 4 Pro. This type of training sets a baseline for safe operation of aircraft and ensuring that pilots can adequately take manual control of the aircraft at any time to avoid hazardous situations. Application-Specific Training. Pilots should be trained to perform one or several specific industry applications. Capturing quality data for solar requires specific flight patterns, settings, and conditions, covered later in this section. Pilots should also be trained on proper data handling for their specific use case, such as proper organizing and transfer of data files, as well as important data security techniques. One of the best ways to maximize the return on your drone inspections is to integrate drone data into your existing workflow. What decisions will the end user be making based on drone data? How and where will end-users access the data? Are there any systems or other software that you will be integrating the data with? Compile an inventory of your existing data architecture so you can identify if you have the tools to store, process, and analyze drone data. Data capabilities will vary significantly by organization, and many organizations will choose to out-source data processing and analysis work. Even if you choose to outsource, it is still imperative to determine how you will integrate the resulting data products into your business systems and workflows. Once you understand what data you need and how you will use it, you are ready to start collecting drone data and putting it to work in your organization. Careful data collection, following proven best practices is the key to a successful drone inspection. Drone data follows the old computer-science adage, ‘garbage in, garbage out,’ meaning no amount of magic can turn improperly collected data into a valuable data product. The following vetted environmental factors will help ensure the highest quality thermal data. Creating quality orthomosaics requires pilots to follow carefully designed flight plans using pre-set grid flight parameters with high overlap settings and high capture frequency. Adjustable settings include altitude, overlap, image ratios, file format, and thermal camera gain setting. There are several challenges that pilots may face while on-site at utility-scale solar plants, from extreme temperatures to damaged equipment. 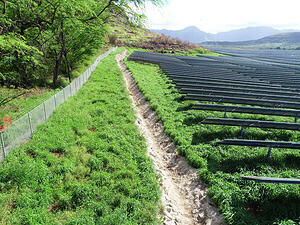 Measure was met with these and other challenges while inspecting a 328MW solar farm along the Mexican border. Having an experienced, professional team is key to overcoming challenges and successfully delivering a quality data product. Before and upon arriving at the job site, the pilot will need to conduct a thorough assessment of the operating environment. Each pilot is responsible for following safe, legal flying practices and should always conduct airspace and weather checks. For large jobs, Measure also recommends a pre-flight safety review, as well as using pre- and post-flight checklists. 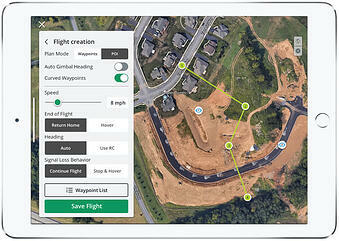 Measure has seen the best results from flying each site twice, using different sensors and at different altitudes. One flight collects RGB imagery, while a second flight collects thermal imagery. New technology is driving a shift to collect both RGB and thermal imagery on a single flight for even greater efficiency. In order to ensure that the data collected meets the project needs, Measure pilots also conduct quality checks with the data team, typically at several intervals, during complex jobs. This helps to reduce the chance of having to return and re-fly a job site due to poor data quality. See figures 3.2 - 3.4 for examples of quality data. 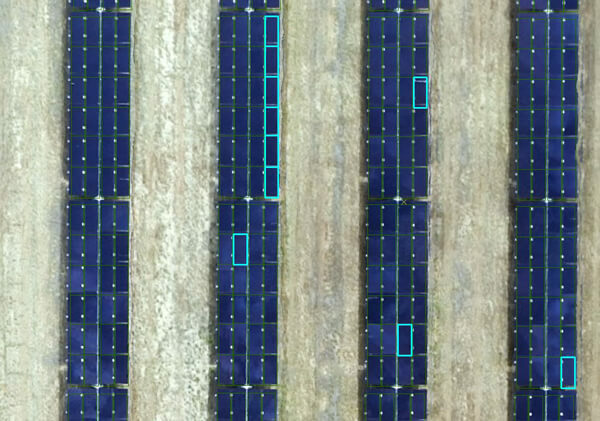 Figure 3.2 - Good Solar RGB Image - Panels in focus. Panels at relatively low angles. Clear panel boundaries. No noticeable glare. Figure 3.3 - Good Solar Thermal Image - White spots represent defects. Figure 3.4 - Mapping and 3D Modeling - If using data for mapping or 3D modeling, ensure data has proper overlap by using a program such as Pix4D to load images and perform a rapid quality check. Unless you are doing a simple site check (like taking a quick look after a storm event) or taking basic aerial imagery (such as for marketing use), your drone data will require processing and analysis in order to turn it into something that can be put to use by your organization. Once data has been captured and transferred, it is loaded and prepared for processing and analysis. Because Measure uses a high image overlap, thermal images can be compiled into orthomosaics that remove artifacts such as blur and glare prior to final analysis. Each individual panel is identified and outlined using automated processing techniques. 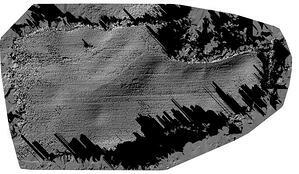 Defects are identified based on thermal data and geo-located within the orthomosaic. All defects flagged are verified manually through a review of several individual thermal images of the damange location. Extensive thermal data capture combined with manual quality control allows Measure to mitigate false positives and deliver highly accurate results. RGB orthomosaic where damaged panels are highlighted. To visualize the results of solar inspections, Measure uses ArcGIS to produce an interactive webmap that can be annotated. ArcGIS data can also be delivered through a convenient app, making it easy for field personnel to locate issues and provide updates right from their smart phone. The next obvious part of any drone program is, of course, the drones. When choosing the right equipment for a job, there are a number of factors to consider: type of operations, data requirements, security requirements, and cost. Common drone platforms and sensor payloads are shown in Figures 4.1 and 4.2. Standardizing on one drone manufacturer, or, if possible, one drone airframe, will simplify aircraft maintenance and repair for an in-house drone program. Drone aircraft come in two major physical configurations: multi-rotor and fixed-wing. Multi-rotor drones tend to be easier to use and more maneuverable, while fixed-wing drones typically offer longer flight times. In the multi-rotor drone marketplace, DJI dominates with over 70% market share. DJI products offer quality and reliability at an affordable price, and they cover a wide range of applications and levels of sophistication. DJI’s market dominance and expansive equipment selection makes it an attractive choice for residential and small-to-mid commercial solar applications. Fixed-wing drones tend to be a better match for sites larger than 5MW. Fixed-wing platforms lack the maneuverability and ease-of-use associated with multi-rotors, but offer superior endurance, key for large-scale operations as frequent battery changes slow data collection. Measure currently uses the senseFly eBee for utility-scale solar power plant inspections and has seen flight times of up to 50 minutes, depending on weather conditions. Measure also prefers the higher frequency thermal image capture offered by the eBee, compared to common multi-rotor airframes. This fixed-wing drone packs a lot of power in a small platform and accepts a variety of payloads, including visual, thermal, and multispectral sensors. However, because fixed wings drones tend to be slightly more challenging to fly (or, more specifically, to land), Measure typically recommends that large-scale operations are outsourced to a highly experienced and specialized drone operator. As discussed in the previous section, managing a drone program is a complex operation, covering many functions (see Fig 3.1). Looking across the drone software market, you will find a plethora of products targeted at one or a few of these functions. For example, there are popular software products focused only on flight logging or only on equipment management. However, using a single software solution for as many functions as possible - work ordering, resource management, flight planning and tracking, program reporting, compliance, and data management - will help you streamline your operations and manage your program more efficiently. You’ll also have the program oversight that many large corporations need to ensure consistently safe and compliant execution of all aspects of their drone program. 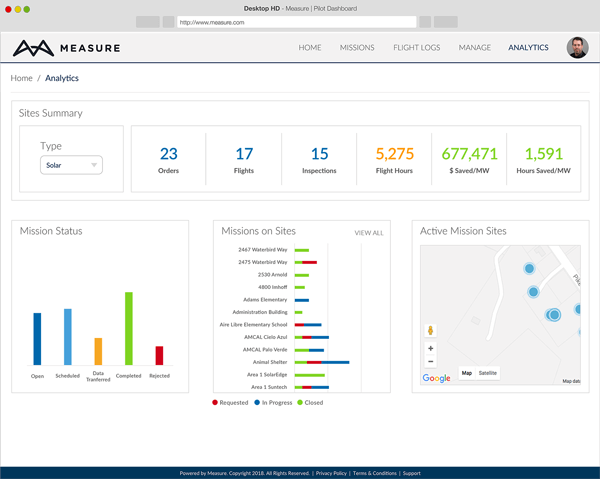 Measure was searching for a comprehensive software platform to manage its own extensive drone operations. Unable to find a platform that met all of its needs, Measure built one, based on the experience of managing thousands of flights across myriad applications. That product is Measure Ground Control. A basic overview of Ground Control’s management portal is provided in Appendix C. Ground Control also includes an integrated flight application. Good for tactical situational awareness for emergency response and basic smallscale mapping for most construction sites as well as distribution line inspections due to its portability, low price point, and ease of use. The workhorse in the industry; rugged and fieldtested. Excellent all-purpose drone. Dual gimbal payload allows for simultaneous thermal and RGB data collection. Preferred platform for police and fire use. Superior endurance and thermal image capture frequency. Best choice for large-scale mapping missions such as in solar, and agriculture. A flight application is used to control the drone during flight. 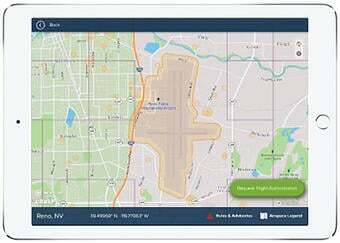 You can find many drone flight applications available in the various iOS or Android app stores, and several of them are available for free. DJI offers a free application, DJI GO, that works with all DJI drones and is available at no additional charge. Given DJI’s dominance in the drone market, their flight application also has the highest number of users. However, this application serves the needs of a very wide range of drone users, including hobbyists who want to take aerial pictures and upload them to social media. A flight application designed specifically for commercial use is typically the better choice. A commercial flight application should offer a simplified interface with only the functions required, and it should be oriented toward safety and security with features such as pre- and post- flight checklists, integrated airspace advisories and authorization, and local data mode to block data sharing with DJI. Having a flight application that is integrated with your program management software offers additional benefits, such as automatic uploading of all flight data. 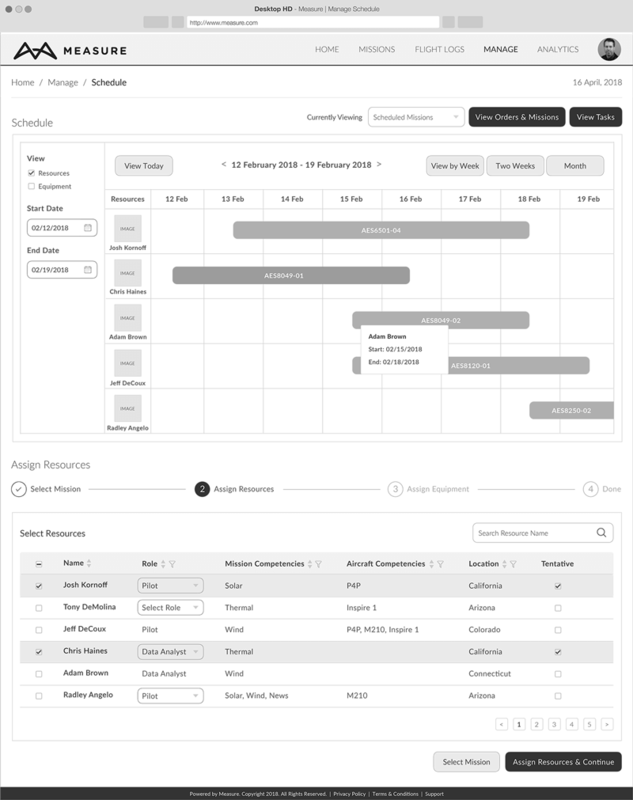 Flights along with completed checklists and screen shots can be easily and consistently captured, tracked, and reported on, along with notifications of any flight activities that do not adhere to safety best practices. 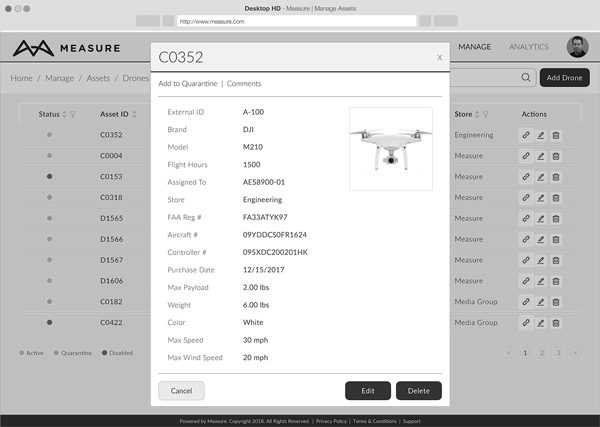 Measure Ground Control, which integrates a program management platform with a flight application, also includes features such as flight playback, where the flight is recreated on-screen, as well the ability to translate flight logs into drone and battery usage data that informs maintenance decisions. Drone data is often uploaded into various software platforms for processing, analysis, and visualization. Figure 4.3 summarizes some of the different software products used by Measure’s Data Engineering team. As shown in the Figure, different software platforms are best suited for different types of applications and data needs. Some tools are designed to be used only for raw dataset processing, while others are only useful for analysis or visualization of processed data. Analytical tools in particular are often targeted to a specific industrial application. 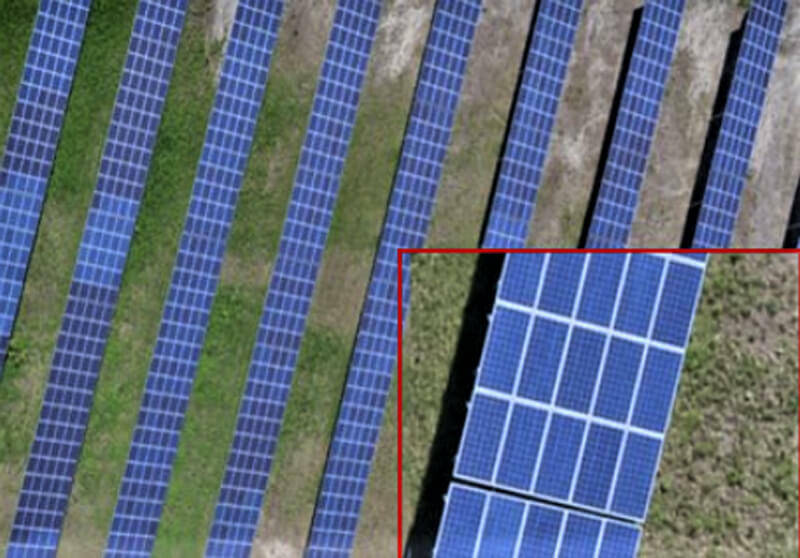 ArcGIS is most commonly used by Measure for analyzing and viewing data for utility scale solar inspections, while ArcGIS or Scopito may be used for related inspections of electric transmission lines and poles, vegetation assessments, etc..
What data software you need will depend on whether you will be processing and analyzing drone data internally, or whether you will be outsourcing this function. If you don’t plan to do internal data processing and analysis, you only need to worry about how to best integrate the final drone data product into your operations. Some organizations will want to integrate ArcGIS data, for example, while others will use online drone data platforms separately. If you will be using an outsource model, access to these platforms will typically be provided by your vendor. Always keep in mind who the stakeholders of your program are and who will need access to the data. Data that is difficult for asset managers or O&M teams to use, for example, is not likely to maximize the return on your investment. Make sure that the processing, analyzing, and visualization of your drone data results in a data deliverable that can drive better decisions for your business operations. 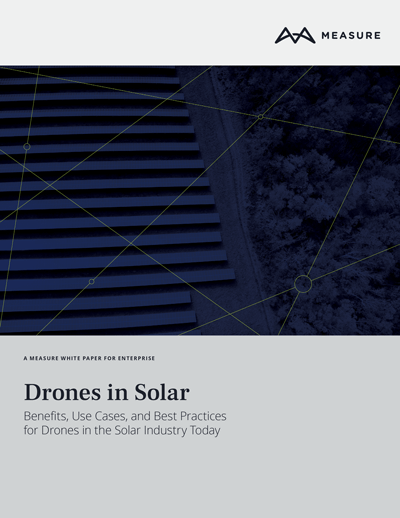 In this paper, we have reviewed the benefits and use cases of drones in solar operations. We have introduced the components of a drone program and discussed options for hardware and software. Everything is this paper is something your organization can do and take advantage of today. If you are looking to start an internal drone program, outsource operations, or have your pilots trained, Measure can help. Measure offers a range of products and services for companies such as solar asset owners or investors, O&M service providers, and EPC firms. When you’re ready to get started or want to take your existing program to the next level, drop us a line at measure.com/contact. Who can put in a request for drone operations? How are operations reviewed and approved? What authorities do the approver and the pilot- in-command have? What federal, state, and local regulations affect your operations? What is the process for requesting regulatory waivers? What other regulatory guidelines (e.g. FCC) may apply? What training is required for each of your mission types? How often must training be renewed? Do training requirements differ between employee and contract pilots? What are your data collection requirements? What is the type, location, and timing of the mission? How are you managing your equipment and pilots? What are your crew rest requirements? How do factors like weather or stress impact pilot scheduling? How are crew errors or infractions addressed? Who will be responsible for drone maintenance and repair? What are your pre-and post- flight maintenance procedures? How will you track equipment usage over time? What severity of accident warrants a report? Who needs to be informed when an accident happens? What information needs to be collected at the scene and by whom? Who will be responsible for filing a mishap report?